16 May 2018–This spring, researchers will release an expanded database that covers the geometry of most of the world’s subducting slabs, the massive pieces of the Earth’s crust that sink into the mantle at tectonic plate boundaries. 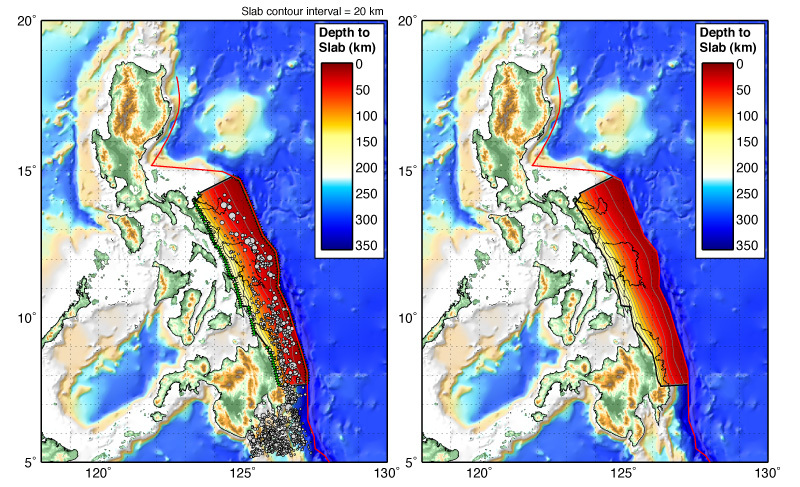 Called Slab2, the updated database will help researchers determine the impact of 3-D slab shape on megathrust earthquakes, according to a presentation at the 2018 SSA Annual Meeting. The Slab2 research team, including Gavin Hayes of the U.S. Geological Survey in Colorado, hopes that the new database will be useful in examining broad questions about how slab geometry might affect the size and location of megathrust earthquakes. He and his colleagues hope Slab2 will be used also as a “base layer” for seismic hazard calculations and other studies in subduction zones. For instance, research using an earlier version of the database, called Slab1.0, hinted that large fault ruptures may be more likely to happen in places where the subduction zone slabs are flat. It isn’t clear yet whether these types of ruptures are primarily controlled by geometry, said Hayes, but Slab2 could offer the data to test this proposition. Hayes said researchers might also use the database to take a closer look at how underwater (bathymetric) features such as subducting seamounts or ridges affect fault ruptures—in particular, whether they can act as potential “snags” that affect the pattern and the length of earthquake ruptures. “What Slab2 allows us to question is which bathymetric features get carried down into the subduction zone and can really make a difference for rupture segmentation,” he said. Under Mexico, part of the Cocos plate dips under the North America plate and then flattens out almost horizontally at a depth of 40 to 50 kilometers. (The September 2017 earthquakes that struck the country took place within this slab.) Slab2’s updates have now resolved exactly where that horizontal slab lies, finding that it stretches underneath Mexico far past the extent “where the earthquakes suggest it is in that region,” said Hayes. Megathrust earthquakes at subduction zones include some of the largest quakes ever recorded, including the 1960 magnitude 9.5 Great Chilean earthquake and the magnitude 9.1 2011 Tohoku earthquake off the coast of Japan.